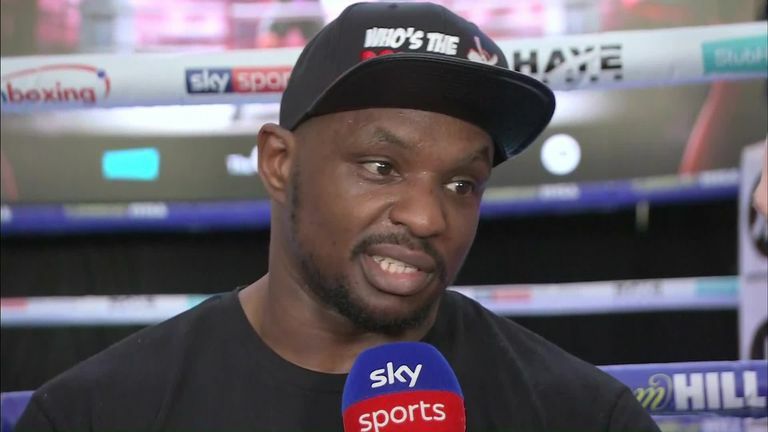 Whyte vs Chisora 2: Will Dillian Whyte or Derek Chisora lose their cool at final press conference? 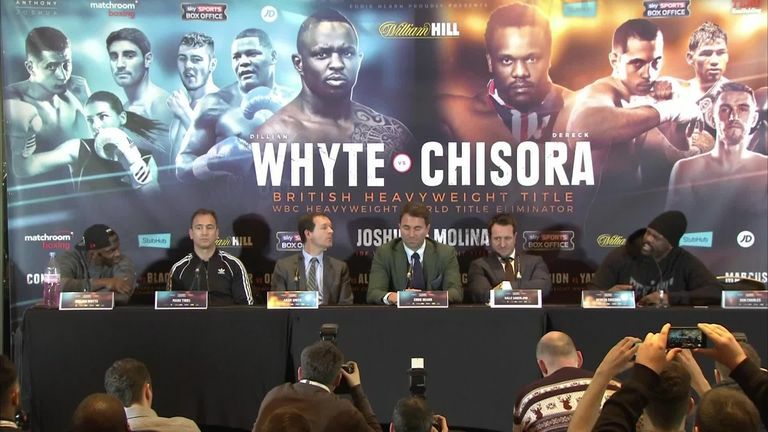 London rivals Whyte and Chisora meet again, live on Sky Sports Box Office on Saturday from 6pm. I think if one will, it will be Derek. When we filmed The Gloves Are Off, Derek did very well containing himself, while Dillian seemed a little smug with his put-downs and position, he was self-contained. If anybody's heart is on their sleeve to be poked at, it's Derek's. Dillian said 'if you do anything I'm ready for you,' and in the end, Derek kind of bit. If anybody's heart is on their sleeve to be poked at, it's Derek's. I don't think we are going to get the same stuff we saw ahead of the first fight, because Chisora is on a new journey. Mentally, his character is toned down and he is far more civil than we're used to. I like the fact that he has taken on David Haye. David is also much calmer and has a better nature about him now he's retired and has been a little bit humbled by Tony Bellew. Chisora is on a new journey. Mentally, his character is toned down and he is far more civil than we're used to. 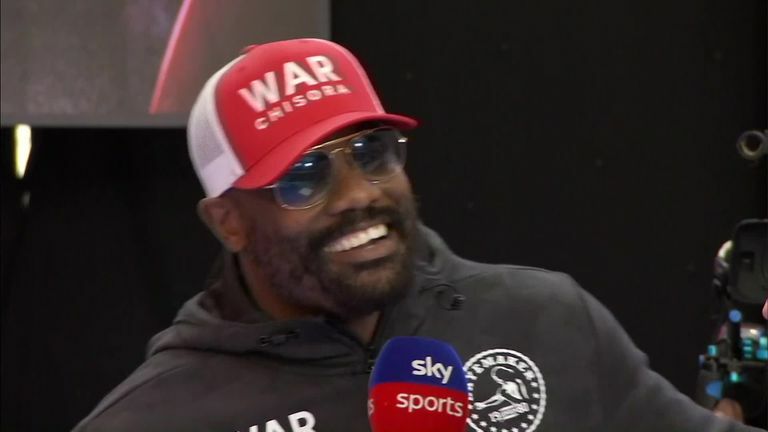 Chisora came to a crossroads when he was causing problems, chucking tables at press conferences, getting into all sorts of stuff but he seemed to realise that it wasn't getting him anywhere. He still has the ability to come out with stuff that will annoy and wind up Whyte, but he is also in a better place. There will be some fireworks but nothing like we saw last time. It is a shame, but it should mean we see a better Chisora. I don't actually think they will this time. Both seem to have matured and chilled out a lot over the last two years, perhaps they feel more appreciated by the fans. Neither will admit it, but deep down there's mutual respect. There'll be good banter back and forth of course and perhaps a bit of needle, but I don't expect it to get out of hand like last time. Neither will admit it, but deep down there's mutual respect there after the first fight. This is real and the beef is real. You saw a little glimpse of it when the cameras went off on The Gloves Are Off. They're trying to be calm and cool, but it's there and simmering. They've kept a lid on it in the main so far for this one, but it's all fake. When people go on about 'fake beef', it's the niceties which are fake this time. When people go on about 'fake beef', it's the niceties which are fake this time. This is real. You just don't know what Del will do. He can be laughing one minute and then flick a switch and go. Dillian is not the kind of guy who will back down. Both men are immense characters. I think it's guaranteed that they'll both lose their cool. They both get under each other's skin and they both know what buttons to press. As far as build-ups go to fights, this will be one of the best. Things could explode at any second. As far as build-ups go to fights, this will be one of the best. Things could explode at any second. They're both massive characters, the press conference, let alone the fight, will be hugely entertaining for sure.